It is a lot of fun and I can send it to my dad. He laughs every time I make it say China or wall!!! Buy it if you’d like to not talk or just be Donald trump!!! 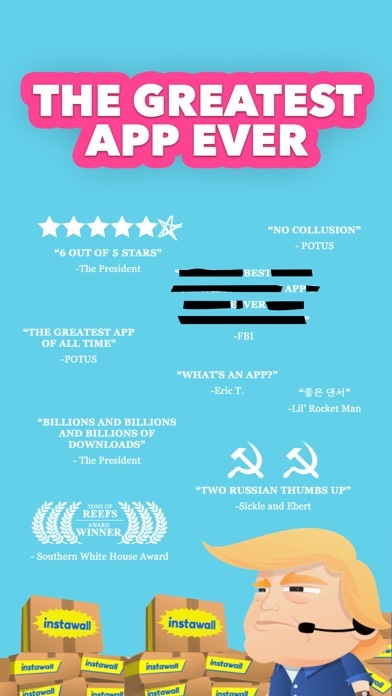 Great app for us #MAGA people!! I crack up my friends. Even the liberal ones! Funny current situations. I’d love to see some new ones about the government shut down? I send to all my friends and family that hate on my president! 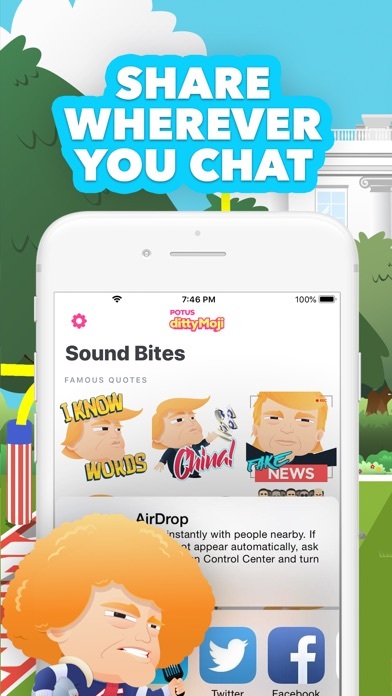 This app is pretty cool you just text what you want trump to say and he says it. Nice and clear too. I also like theirs different varieties to choose from. The one where he throws money is my favorite. Definitely get this app. No matter what side of the fence you’re on this is a fun app. 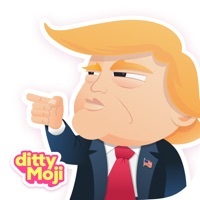 Between the 3 apps you have, POTUS, Ditty, and Ditty emoji, I send out at least 5-6 messages a day! Thanks for all the fun! 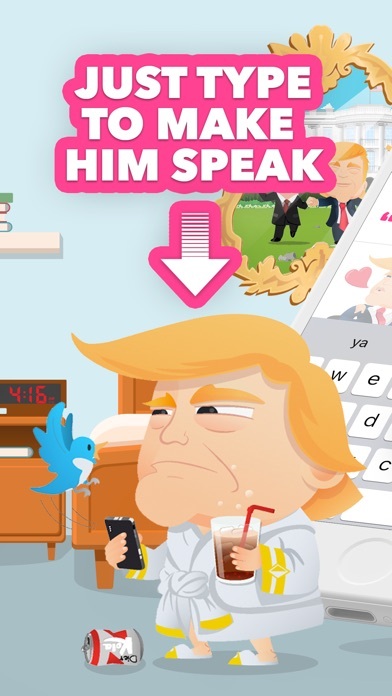 Fun app, you can make him say anything, more choices would be great, but still a fun app. The best app ever. I use it to always win a argument with Democrats sister. She hates it I love it!! What a great way to celebrate, or castigate our current commander in chief. Many songs and situations to use in uncountable ways to bring Mr. Trump to the foreground. Having a blast sending these out! ... however the voice sounds nothing like president Trump at all. It’s actually really hard to understand. 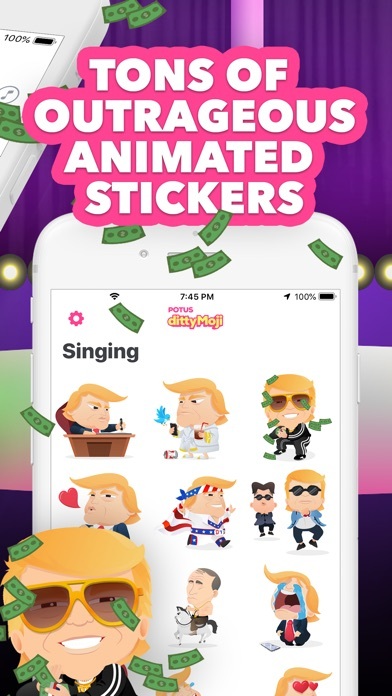 The stickers are kinda cool though. But don’t download this if you’re just interested in the voice part, it’s very disappointing. Works great and fun to use! I would also like to see Pocahontas and others. I can’t remember the last time an app made me laugh. This is AMAZING! This new update with Potus talking or/and singing is the best of BOTH WORLDS!!! You made my year and made the app more that 5stars !!!! Well, I downloaded the app and was so excited to try it out, then it said there was no internet...? What? I was connected to a WiFi network! I checked other apps, and they worked fine! Then I reset my device. Still did not work! Please can this be fixed? Please!!! Could be cool if you could type words in the talking emojis. 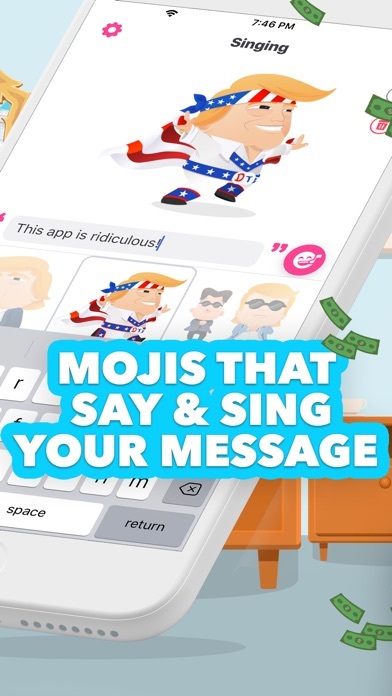 But you can only customize the speech in the singing ones, which is weird and kind of lame. The talking ones would be great if you could make him say what you want in them. That would be yuge, like really, the best. And I know the best. Make that update and it’ll be a solid 5 stars. Until then, I can’t see me using it very much. You can’t just send one with his regular voice. It’s all singing or some stupid crap. Why can’t you make one just regular without all the singing, crying crap? What a disappointment. One thing I thought was funny so one star. Can I get a refund??? This is not what I thought I was getting. Sorta like when you see them advertise Burgers on the TV and in adds and you go buy one and it looks nothing like what the add did! Trump is mine to control as always. This is by far my new favorite app on my phone! Purchased this app. And it does nothing, there is nothing to use. Don’t be a sucker. I would not even give it 1 star.